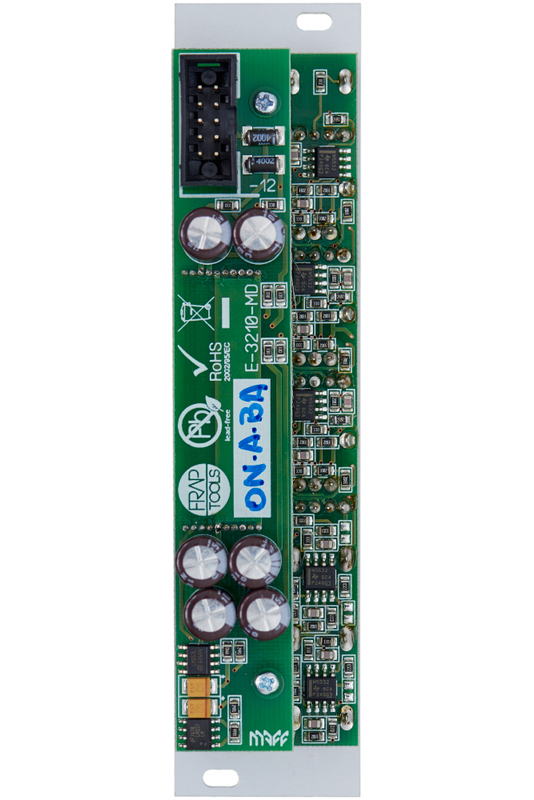 The 321 offers three channels, which can be used as attenuator or amplifier (2x) for audio and control voltages. 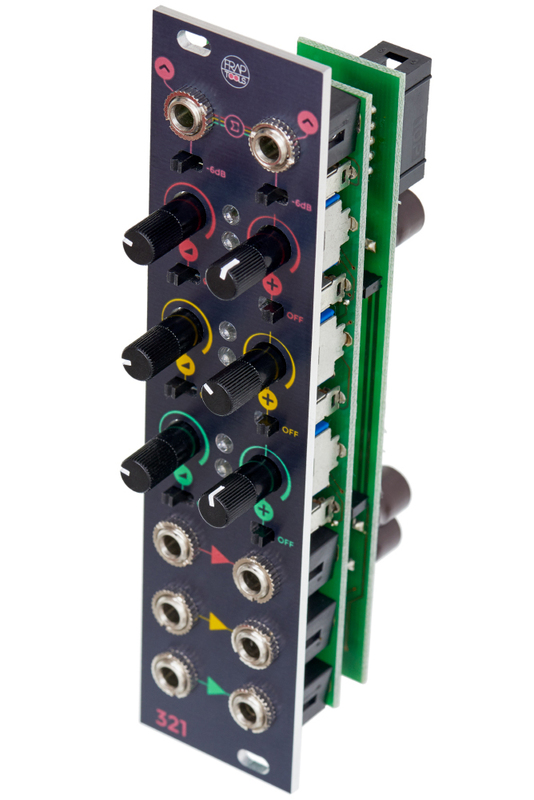 The module’s three channels can be used to amplify audio signals or control voltages by up to +6 dB, flip their phases and add DC offsets. On top of that, the circuit is capable of generating control voltages itself. This allows you to utilize the 321 as a (macro) controller, meaning parameters of several other modules can be adjusted mutually. Furthermore, it is possible to use the 321 as a mixer. 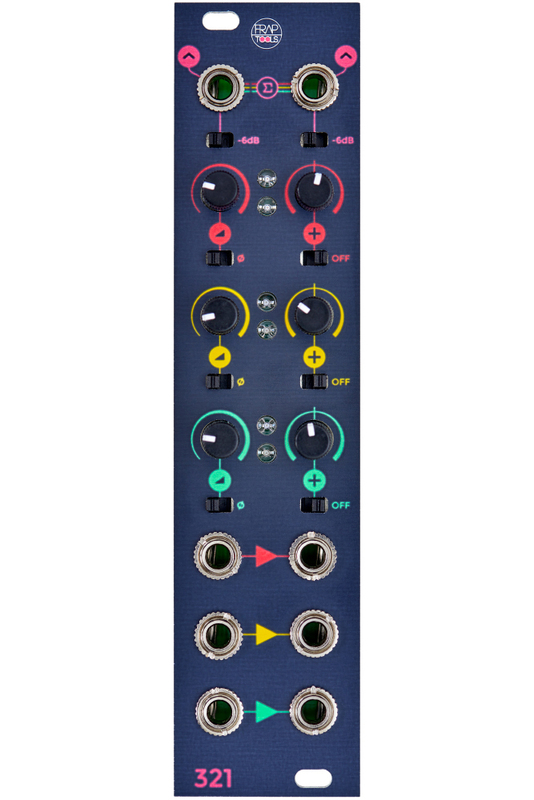 As long as a signal input isn’t patched, the corresponding DC offset generator operates as a CV source. Besides individual outputs, there are two sum outs with attenuation switches (-6 dB). One of these connectors emits a mix of all processed signals. The other provides voltages generated by the 321 module itself.